The Harriet Barber House has always been used as a residence for members of the Barber Family. The original residence was a two-room log cabin built for Sam and Harriet Barber in 1870. When this small structure burned, a new two-room house was built around 1880 at the same location. The South Carolina Land Grant Program made it possible for freed slaves like the Barbers to buy land that originally belonged to large plantation owners who were slave owners. The Barber Family has held on to this land since that time. The original two rooms from 1880 are still intact, and additional rooms were added later. The house has been unoccupied for over twenty years. The Lower Richland community does not have a location to showcase its rich history and cultural diversity. 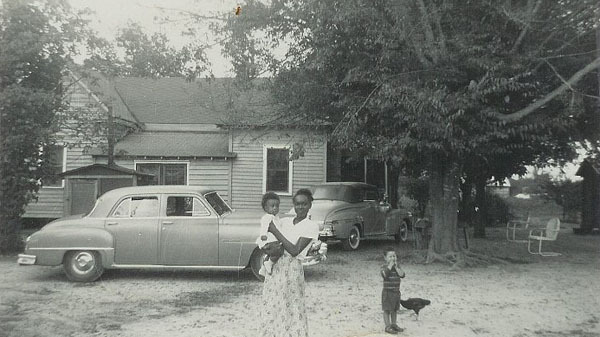 The Harriet Barber House would be the ideal place to serve as a museum to highlight the historical development of the Lower Richland community. The restoration of this historical property would benefit the public in several ways: First, it would serve as an educational center site to display the evidence of its historical development. It would also serve as a meeting site for small groups, a retreat center for the general public and a meeting place for the Hopkins High School Alumni Foundation with an archives room for recognition of early schools and educators from the Lower Richland community. Visitors to the Congaree National Park could take a tour of this historic site before or after they visit the park. The project, when completed, will provide the catalyst for other preservation/conservation projects in the Lower Richland community. Our goal is to create a Lower Richland Heritage Corridor in order to preserve the history and cultural heritage that is unique to this part of the county. With its close proximity to the Congaree National Park, the Harriet Barber House, along with the South East Rural Community Outreach, will be able to implement a variety of programs to meet the needs of the community and at the same time promote tourism for the county and the state. Primary activities would include community events, historical tours and meetings conducted by the program director and the Board of the South East Rural Community Outreach. The final product will be a functional historic site where community programs can be created and implemented through the Lower Richland Heritage Corridor. Our vision is to offer the following services throughout the year: community planning, educational and volunteer programs, preservation of additional properties in the Lower Richland community, genealogical research and archaeological studies and other innovative projects.